deannefitzpatrickstudio – Deanne Fitzpatrick is from Newfoundland and lives in Nova Scotia. debmerriam – Deb Merriam lives in Alberta. hookedontheprairies – Shelly Nicolle-Phillips is from PEI and lives in Saskatchewan. jwrobelstudio – Jess Wrobel lives in Massachusetts. karendmillerstudio – Karen Miller lives in Ottawa, Ontario. loopbyloopstudio – Hayley and Sharon Perry are from Newfoundland and live in Massachusetts. thepaisleystudio – Sarah McNamara is in Greenport, New York. 1000wave – Chinami Mori lives in Japan – and her feed is my favorite – especially the photos of her grandma Emiko! _jujujust_ – Judit Just lives in Asheville, North Carolina. aliciascardetta – Alicia Scardetta lives in Brooklyn, New York. anne.choi – Anne Choi’s studio Middle Brook Fiberworks is in Somerset Hills, New Jersey. ashleylthurman – Ashley L. Thurman is in St. Louis, Missouri. combedthunder – Natalie Novak is in St. Paul, Minnesota. crochet_by_kait – Kaitlyn Taylor is in Long Beach, California. crossingthreads – Lauren and Kassandra Hernandez are in Sydney, Australia. genivievejade – Genevieve Griffiths is in New Zealand. loomloomshake – Kirilee Clayton is in Australia. luposkitt – Lucy Poskitt is in Victoria, British Columbia. mandismoothhills – Mandi Smethells is in St. Paul, Minnesota. maryannemoodie – Maryanne Moodie lives in Brooklyn, New York. natalie_miller_design – Natalie Miller lives in Australia. philippaataylor – Philippa A. Taylor lives in Australia. pineapple_phi – Bee Marshall lives in Omaha, Nebraska. rebeccamezofftapestry – Rebecca Mezoff lives in Fort Collins, Colorado. sunwoven – Erin Barrett lives in Charleston, South Carolina. 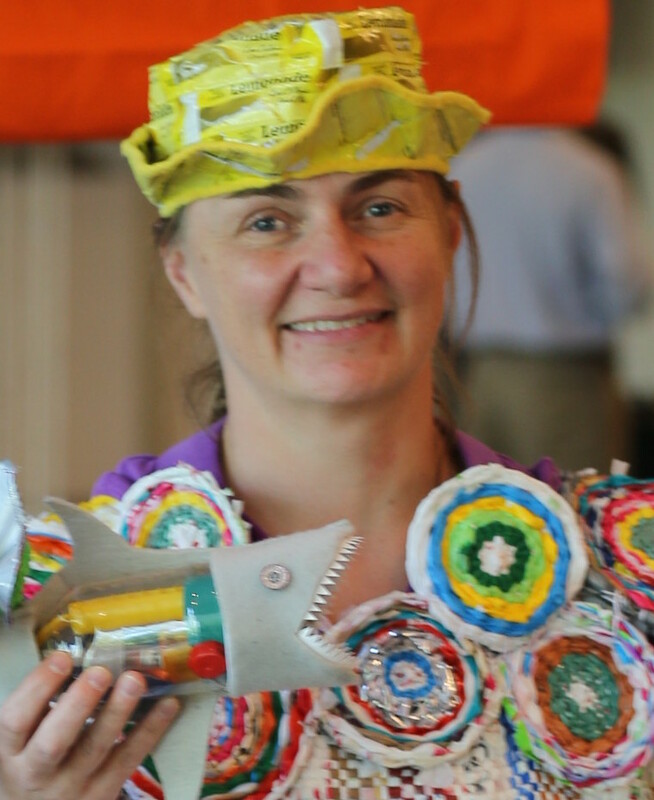 woolandweave – Marie Matter lives in Houston, Texas. cindygrisdelaquilts – Cindy Grisdela lives in my town in Reston, Virginia and we have met! entropies – Luke Haynes lives in Los Angeles, California. fisheyesisters – Jen Manuell lives in Huntsville, Ontario. folkfibers – Maura Grace Ambrose lives near Austin, Texas. hapticlab – Emily Fischer lives in Brooklyn, New York. hildemorinfiberart – Hilde Morin lives in Portland, Oregon. maranoni – Lorena Marañon lives in Los Angeles, California. snugglymonkey – Claudia Martinez lives in Durham, North Carolina. thompsonstreetstudio – Kiva Motnyk and Susan Cianciolo live in New York, New York. wholecirclestudio – Sheri Cifaldi-Morrill lives in New Haven, Connecticut. wishiwashistudio – Jody Alexander lives in Santa Cruz, California. zakfoster.quilts – Zak Foster lives in Brooklyn, New York. alyparrott – Aly Parrott lives in Albany, New York. betz_white – Betz White lives in Maryland. catchtheinspiration – Veselka Bulkan lives in Munich, Germany. dropcloth – Rebecca Ringquist lives in Portland, Oregon. elizabethpawle – Elizabeth Pawle lives in London, England – she does weaving and embroidery. mimikirchner – Mimi Kirchner lives in the Boston area in Massachusetts. monika_kinner – Monika Kinner-Whalen lives in Saskatoon, Saskatchewan – I loved her weaving in her community fences as well. sarahkbenning – Sarah K. Benning lives in Hillsborough, New Hampshire. spiritcloth – Jude Hill lives in Long Island, New York. blairs – Blair Stocker lives in Seattle, Washington. kuttlefish – Kuttlefish is an online community of reimagined goods. reunionyarn – Emily and Mike Felix live in Chattanooga, Tennessee. salvagegoodstn – Clay Bush lives in Nashville, Tennessee. sayakaganz – Sayaka Ganz lives in Fort Wayne, Indiana. sherrilynnwood – Sherri Lynn Wood lives in Oakland, California. thomasdambo – Thomas Dambo lives in Copenhagen, Denmark. alisakburke – Alisa Burke lives in Oregon. lisacongdon – Lisa Congdon lives in Portland, Oregon. lisasolomon – Lisa Solomon lives in Oakland, California. phoebewahl – Phoebe Wahl lives in Oregon. bookhou – Arounna Khounnoraj and John Booth live in Toronto, Ontario. geninne – Geninne Zlatkis lives in New Mexico. illustratedfaith – Shanna Noel lives in Sonoma County, California. littlepincushionstudio – Annabel Lowe Wrigley lives in Warrenton, Virginia. michellebablo – Michelle Bablo and Hell Yes Design Studio is in Brooklyn, New York. mypapercrane – Heidi Kenney lives in Waynesboro, Pennsylvania. 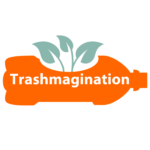 And of course, my own Instagram is great at http://instagram.com/trashmagination!